Establishing a National Occupational Standard (NOS) is a vital part of our support of the environmental industry. Occupational standards help set a benchmark for skills and competencies in the industry, which helps establish expectations for employers and professionals alike. The environmental industry is always evolving, and ECO Canada updates the NOS to reflect those changes. As always, input from environmental professionals help us to develop and refine the standard, as their feedback about the competencies required in their day-to-day lives help keep the NOS relevant and useful to the industry as a whole. 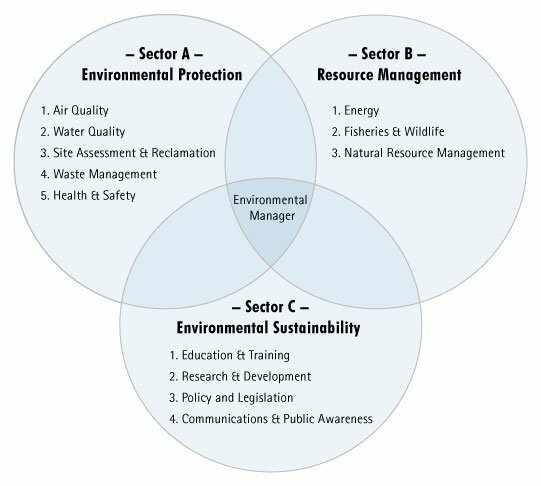 The latest report more strongly identifies the boundaries between these sub-sectors, which is important because in many instances there are duties overlap between sub-sectors, but this doesn’t necessarily translate into overlap in the competencies experienced by the individuals. The sub-sector descriptions have been further clarified, based on our research which included interviews and surveys of the individuals working within that sub-sector. Additionally, we eliminated competencies that were outdated and no longer used. What can environmental professionals learn from the report? If you’re exploring a potential sub-sector: It’s very useful for career planning. People are able to look at the skills and competencies that are required by particular sub-sectors (the things they would eventually be doing, and have to do well at to succeed in that area); if the person thinks those duties/tasks are boring, then it’s quite easy to deduce that they likely wouldn’t enjoy that type of career. On the flipside, people can think the duties are intriguing and be more interested in joining that sub-sector. This logic can also be applied to people who are interested in switching jobs; they are able to see if the skills/competencies that they already possess can be used in another sub-sector. If you’re beginning a career in a particular sub-sector: It’s important to note that the competencies (and the NOS in general) are based on employees and professionals whom have been working for at least 5 years. The NOS is also a useful resource for people beginning their career to identify areas (or competencies) that they need to improve on, or develop professionally (via webinars, courses, etc.). The report is based on what employees and professionals thought was important in their field in regards to environmental competencies/skills, not general skills (such as inter-personal skills for example). Read the full report here, and catch up on the latest environmental industry occupational standards.